Sandy Lake and the Sackville River area are under intense development pressure. Over six hundred acres west of Sandy and Marsh Lakes are slated for development. 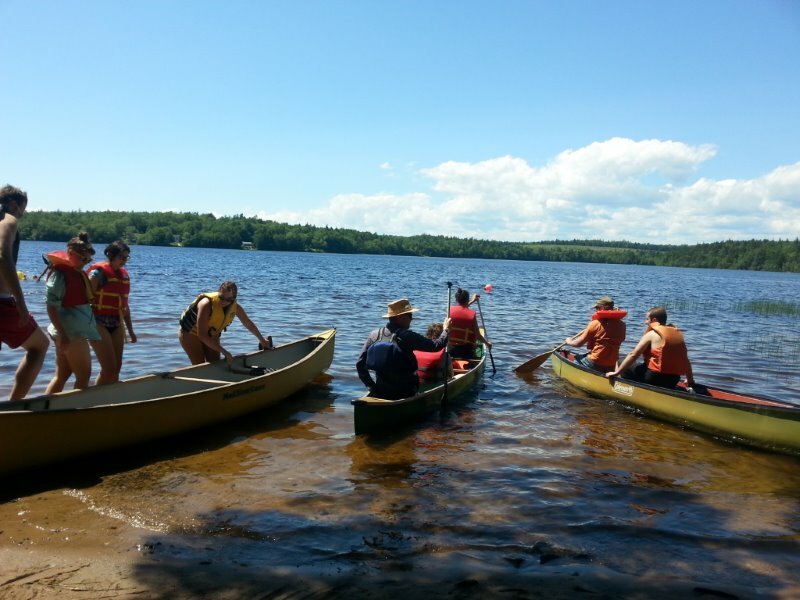 The Sandy Lake Conservation Association and the Sackville Rivers Association have been working together to advocate that these lands not be developed and that a collaborative process be established with HRM and stakeholders to explore alternative measures. The land to the west includes disturbed land that, if acquired for protection, will rejuvenate into a healthy, diverse Acadian forest. Over most of the clear cut, there is vigorous regeneration with the full suite of Acadian forest species; the growth consumes nutrients and water, and with time the full ecosystem services will be re-established. It is a living example of how Acadian forests recreate themselves. Park planners can make educational use of this evolution as, over time, a young Acadian forest becomes a healthy, diverse, Acadian forest once again. By letting the 200 acres heal, they will heal the watershed so it can once again help maintain water quality in the lake for wild Atlantic Salmon, other fishes, wildlife, and benefit the watershed all the way to the Bedford Basin. Limited development around Sandy Lake has preserved for many decades the beautiful old growth forest and view planes, and thus these lands are still uniquely worth acquiring.